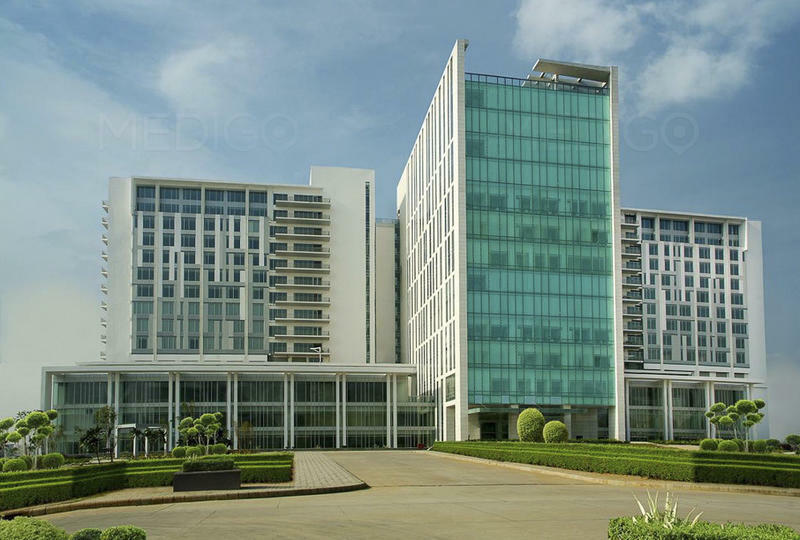 Medanta – The Medicity, established by a cardiac surgeon Naresh Trehan, in the year 2009, is a multi-specialty hospital located in National capital region of India, which is Gurugram or Gurgaon. Medanta is one of the top hospitals of our country. Medanta not only assists Indian nationals but international patients too with few specialized services. These services includes a special team of operational staff, patient care executives, their appointment scheduling, interpretation services and guest services too. When Dr, Naresh Trehan was practising at the NYU medical centre, USA, he realised that only a few can fly down USA to get their treatment, while a huge mass is neglected. From here he felt the need of a multi-specialty medical institute to be founded in India, itself. That’s how Medanta- The medicity was born. This medicity also has some resolutions to be fulfilled, which are to train and innovate, provide international standards of medical technology and infrastructure, patient care and last but not the least, fusion of Indian traditional and progressive medicine. Medanta- the medicity has 15 hospitals under one roof. It spread over 2.1 million sq.ft, facilitate with 22+ super specialities and 1600+ beds. In hospitals each and every floor is dedicated to particular treatment which settles like hospitals in a hospital. Though it always ensure collaboration of departments in complex cases. Cross function or cross specialisation committee held here to ensure best course of treatment to the patient. The founders have very clear vision of natural but new language of hospital rooms. Thus the architecture of the hospital building is like that to bring natural light and views through glass walls. The interior decoration is aiming at embracing the spirit of India which is to heal a patient from his spirit and soul. The Da Vinci Surgical System – It is a robotic surgery system with 3D HD vision, the most advanced platform provided for minimally invasive surgery. The Cyber Knife System – Here patients can complete their treatment in one to five days, unlike the conventional radiation therapy which usually takes two to three weeks. This system reduces both treatment time and the side effects associated with it. Medanta medicity Gurgaon was the first hospital in India to implement this unit. The cataract suite – This suite has an image guided system along with laser technologies to do cataract surgery with precision and accuracy. Medanta was the first hospital in Asian country to incorporate this unit in its ophthalmology department. The Brain Suite – This unit performs intra-operative MR imaging and MR guided surgery. It helps surgeons to perform high resolution MRIs while doing surgery to assess the degree of tumour removal and to be cautious of damaging normal brain tissues. Flying Doctors – This kind of doctor employs – PILATUS PC-12 – aircraft which are dedicated air ambulances. This can transfer any patient, anytime, and anywhere from India or abroad with a guarantee to provide critical care at the time of transit. Medanta’s sole mission of establishment is to provide world class but affordable treatment, with the regular progression of this dynamic institute.